Disadvantages of Outsourcing Projects are: loss involving control, poor quality and difficulty with communication can increase your hidden expenses in both time and money. If a project takes 3 times as long to perform because your outsourcer is usually of poor standard then you have lost the actual potential sales that you may have made using a better quality outsourcing program. 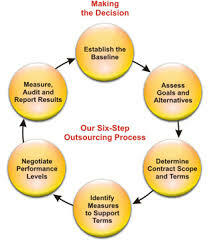 The best way for more info about Outsourcing Projects is always to get experience with outsourcing yourself. Focus on a small project to check a person’s capabilities before you outsource a task which is critical for your current business’ survival. Build relationships along with your outsourcers and coach them gradually concerning your exact procedures.